Now for the third chapter of the story when the truffles are incorporated in the pasta and displayed on a raised fork. Have you ever drawn a fork? Challenging. Here is a photo from the pasta course. Transferred the sketch, looked at some real pasta and added pasta on the plate. 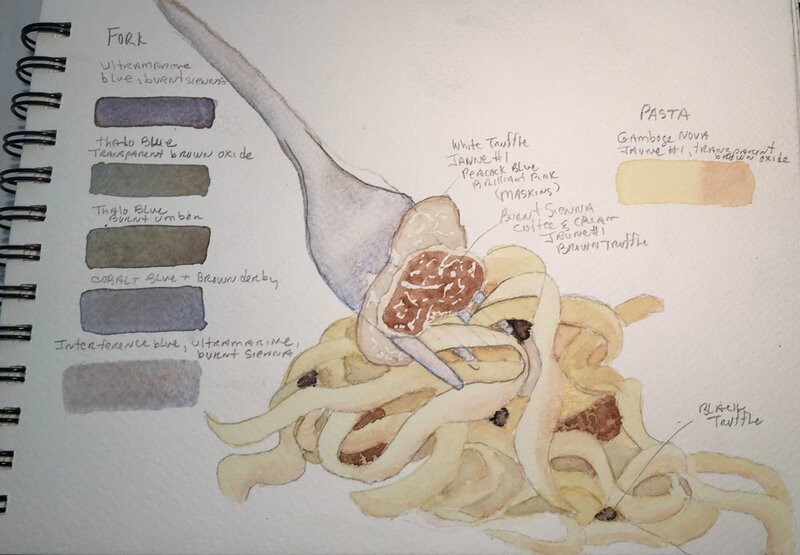 Played with colors for the fork, pasta and three kinds of truffles. Think I am ready to trace and transfer to the watercolor paper - yikes!